Hey guys! It's been a while since I've posted my Ipsy bag. Lately I haven't been really feeling it and the products just didn't WOW me. This month was pretty darn good and I am super happy with all of the products I got. This month's products were super colorful and very fun. 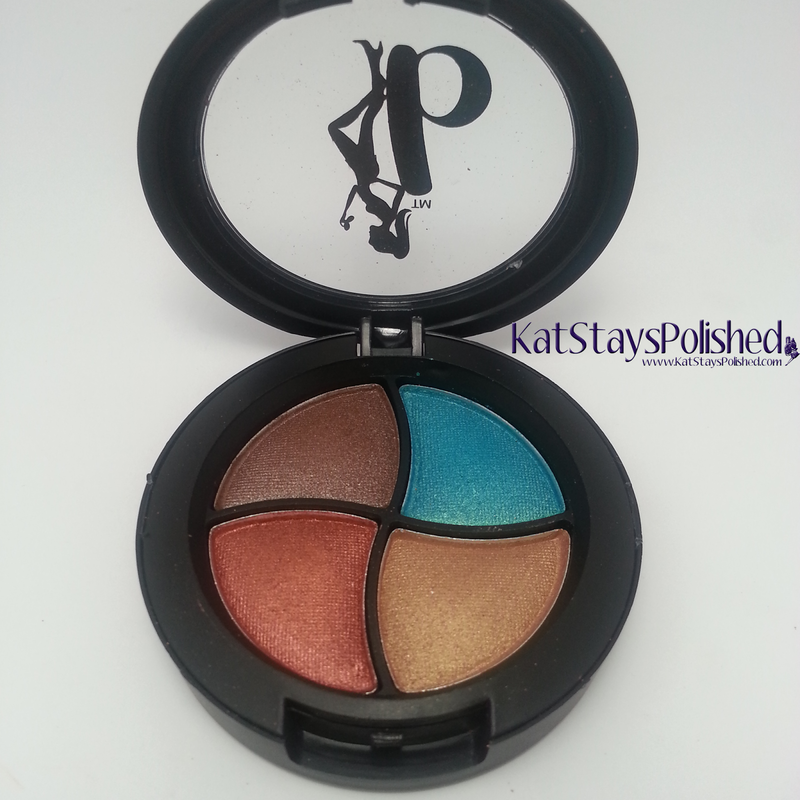 I will definitely have to play with this eye shadow quad soon! 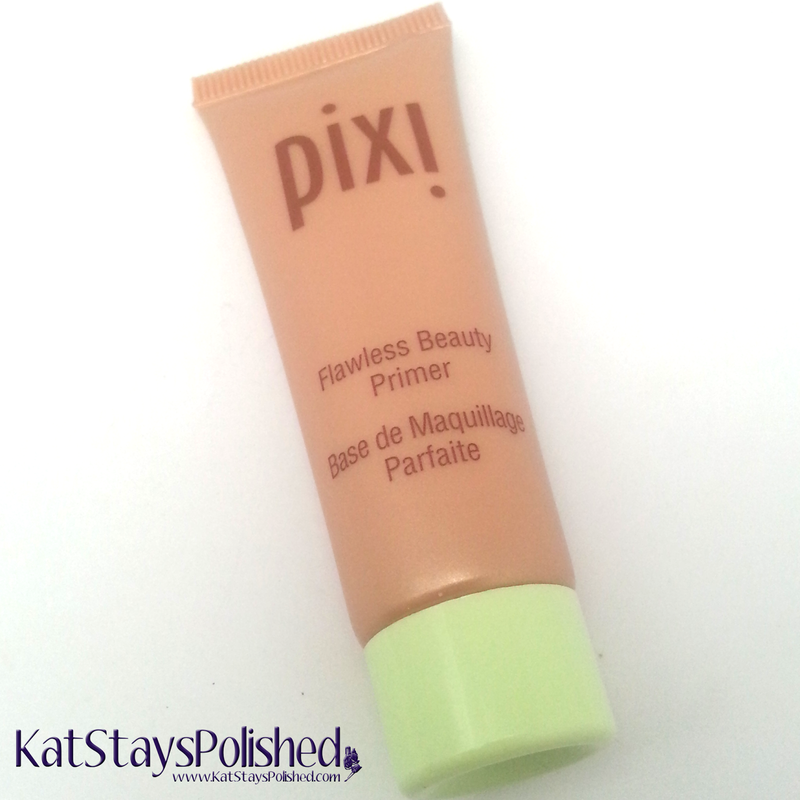 First up is the Pixi Flawless Beauty Primer. It's got some shimmer in it to give you that natural glow. My only issue is, if it's a primer, then the glow will most likely get hidden underneath of your foundation and concealer. This would be good to wear alone on a no makeup day. Although I would loved the lip gloss from BareMinerals this month, I'm pretty happy with the lipstick. It's semi-sheer so the color isn't too intense. It will definitely take me a while to use this up. This is the shade Get Ready. Yay for fun eye shadows! 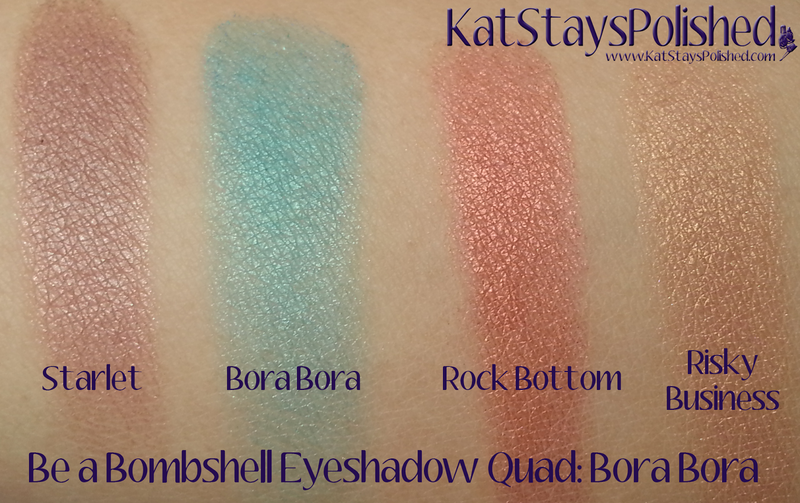 This quad is in the color Bora Bora. They are pretty pigmented with little to no fall out. It's very neutral with just that hint of color. 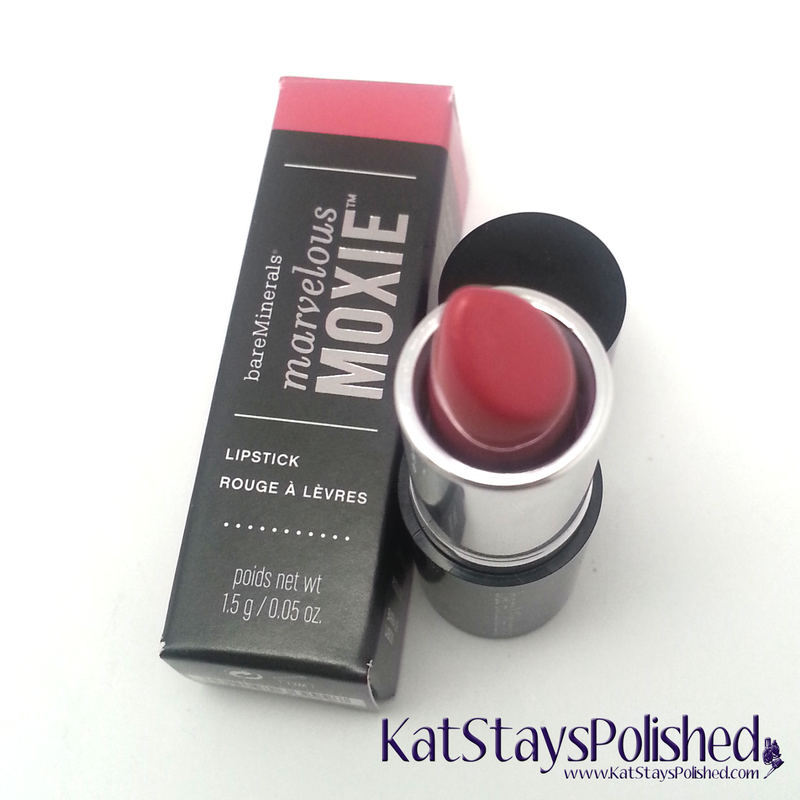 It's super beachy and great for the Spring and Summer. Lastly, my favorite part of the entire bag this month - Nicole by OPI Roughles in On What Grounds. I LOVE mint colored things and this was a pleasant surprise for me. This textured polish is matte and a lot grittier than some of the other matte textured polishes I have. It's very sandy feeling and it definitely goes with the theme of this bag. It coordinates well with the other products I got. Shown below is 2 coats. If you get Ipsy bags, what did you think of your bag this month? Were you happy with it? I definitely don't mind having so-so bags every once in a while. I can't always get the very best products from the selection but it's always worth the $10 I spend each month. 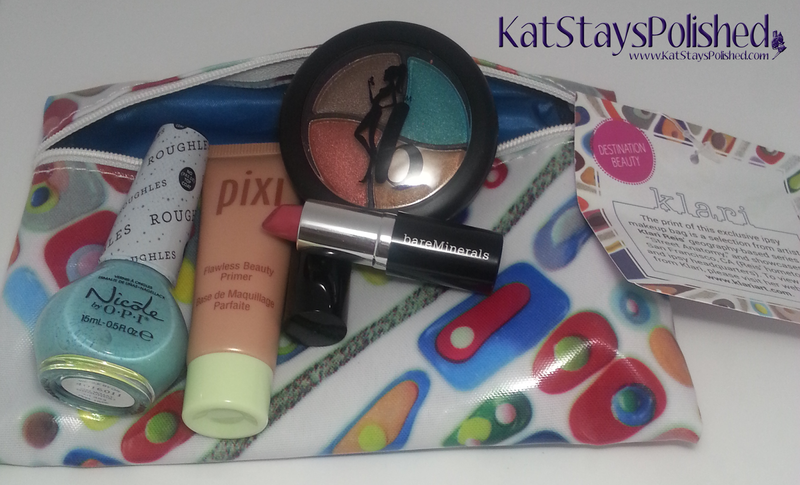 Some fun items in this month's bag!